Have the days of pylons come and gone? On Sunday a video made it’s way around social media featuring the Washington Capitals’ recently acquired defenceman Kevin Shattenkirk and teammate Evgeny Kuznetsov practicing against an interesting on-ice opponent – a stickhandling robot. 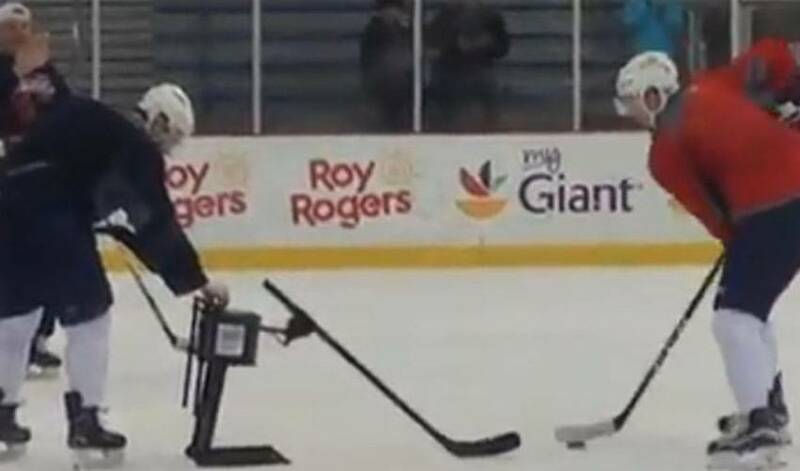 The Capitals players were testing out the device and using it for a drill that involved handling the puck around the robot without hitting its moving stick. After mastering the drill at a lower pace, Kuznetsov had to keep up as Shattenkirk figured out how to increase the machine’s speed.